Inexpensive and non-invasive, dentures are great option to replace missing teeth, especially for those on a fixed budget. Your dental office can make them so they feel comfortable in your mouth when you’re showing off your dazzling smile. In fact, once the muscles in your mouth get use to them, you’ll hardly know the dentures are even there! 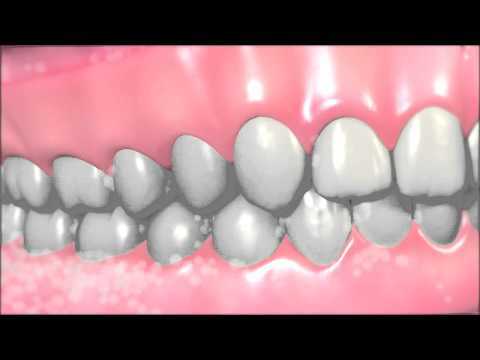 Dentures can be used to replace an entire row of teeth or a smaller segment of teeth, just like a bridge. Complete dentures are tooth replacement options for those without teeth. They fit on top of the gum line, where they stay in place due to the natural suction of the saliva. Eventually the wearer will naturally learn to adjust their lower jaw to prevent them from shifting. Partial dentures are usually held on to existing teeth by way of a clasp or other attachments, depending on the size of the gap. Run the denture under water to clean off any loose food particles. Apply denture cleaner to a wet denture brush, then gently brush all the surfaces. Rinse the denture in clean water before placing it into your mouth. Before going to bed, take the dentures out of your mouth to give your mouth and jaw a rest and soak the dentures in a cup of warm water. This will help to clean the dentures. Be careful not to drop your dentures as they may risk breaking. Always place them on a towel or in a container and check them for cracks. Remember that the shape of your mouth changes every year, so you should always bring them in periodically to your dentist to ensure the best fit.